A requirement at the 2016 Plein Air Easton event was to create a 6"x8" painting that would be available only on the final Sunday of the event. 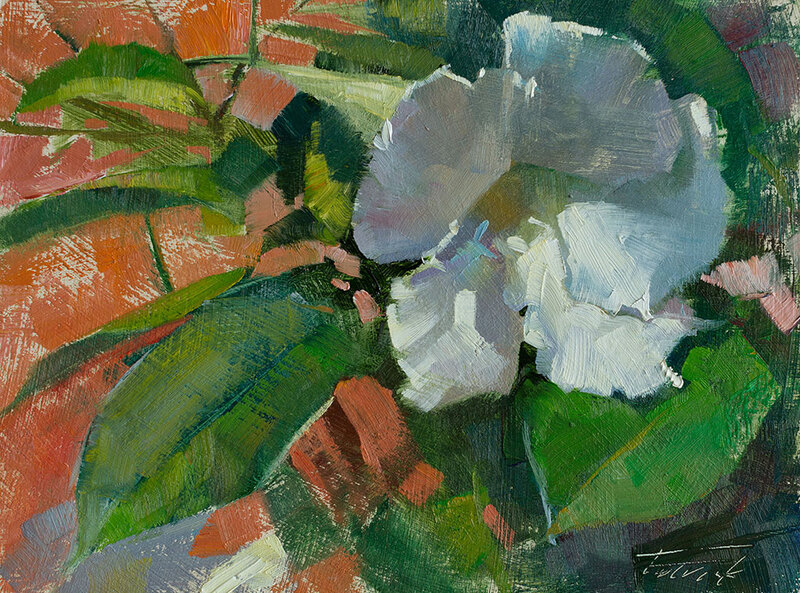 I chose to paint a mandevilla growing on a quiet street corner in Easton. This painting won Third Place at the event.